Patches: You’ve already mentioned her, but I’ll pick on Chelsea Peretti’s Gina a little more. I actually enjoy most of her scenes, but I don’t feel as though there’s as much to her character as the others. I’m not sure if it’s the writers’ fault or Peretti’s, but she’ll stay here until I know for certain it’s the former. Jeff: This is tough because I like pretty much everyone. I feel like anything negative I might say could come down to the writing rather than the performance. 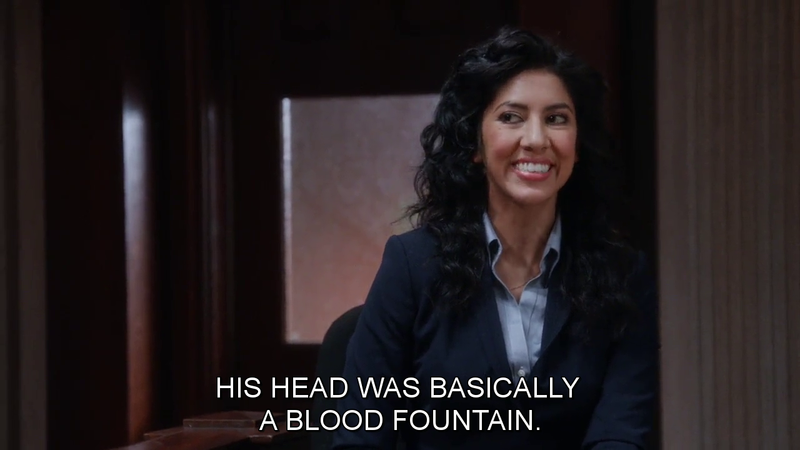 Gun to my head I’ll go with Stephanie Beatriz as Rosa. I don’t think the writing really calls for it too much, but she hasn’t shown me a ton of range. I could probably say that about most of the characters though. Argh! Jeff: This hardly counts, I’m sure, but I’ll watch anything if Dean Winters is the guest star. Sure, his welcome may be wearing thin with all of the “Mayhem” ads, but as The Vulture, he shows just as much promise as he fulfilled as Dennis Duffy on 30 Rock. “The last two percent is the hardest to get, that’s why they leave it in the milk.” Line of the season for me. Patches: Tough to argue with that pick and also not laugh at that line. If you love you some Dean Winters, you need to get on Oz, asap. I have to go with Stacy Keach as the “old school” crime writer Jimmy Brogan. That was a good episode and it was early enough in the season to be something of turning point for the entire series. Think about how different B99 is if Holt and Peralta have a more adversarial relationship… Shout out to Patton Oswalt as Fire Marshall Boone as well. Although Boone doesn’t have the complexity that Oswalt gave Constable Bob Sweeney on Justified, or even Baxter Sarno on Caprica, Oswalt always hits whatever mark he’s aiming for. Patches: I’m not sure Scully and Hitchcock belong in this category, or even if they should be a “worst.” However, they are one-note characters whose only purpose is to serve as a contrast to their competent co-workers. To be honest, I’m okay with that. Although I wouldn’t mind maybe one Scully & Hitchcock-centric episode every season or two, my money is on these guys being better in small doses. Jeff: I have a bit of a soft spot for those guys. You’re spot on with small doses, but those doses often got a laugh from me. Again, it’s hard for me to pick here, particularly given the small size of the ensemble. I guess I’ll just go with cancellation magnet Kyle Bornheimer as Amy’s boyfriend Teddy. He’s fine, but he’s never really gone beyond that for me. He had a role in one of the weaker episodes of Justified’s fifth season (which is saying something), plus, can he really be good enough for Amy Santiago? We get some mild advancement of the “will they/won’t they?” but it’s not in-your-face. Boyle’s “truth bombs” allow subtext to come to the surface. He’s the only character that could sell this and he does it well. For the first time in the series, Holt is allowed to actually be a human and make the human mistake of telling Terry’s wife that he was back in the field. It’s consistently funny, top to bottom, something the show didn’t hit until this point. Patches: Episode 22, “Charges and Specs.” It’s an easy choice for me because it’s the payoff of the whole season up to that point. All of the interaction and relationship-building between the characters comes to a head in this episode. Here’s hoping the resolution is as good as the build. Jeff: Episode 4, “M.E. Time.” Yes, it features The Waitress as a guest star and yes, she and Samberg have pretty funny scene where they do some romantic roleplaying with him as a corpse, but that’s really the only good part about that storyline. Also, the other story about Holt being unreadable has its moments, but that’s basically Holt’s character forever, so it felt like overkill. I’ll chalk it up to being early in the season. It can’t be all bad if Holt tells Scully he can just write “I didn’t close any” on a piece of paper instead of filing a report on closed cases. Episode 11, “Christmas” is a runner-up, featuring Samberg at his most annoying. 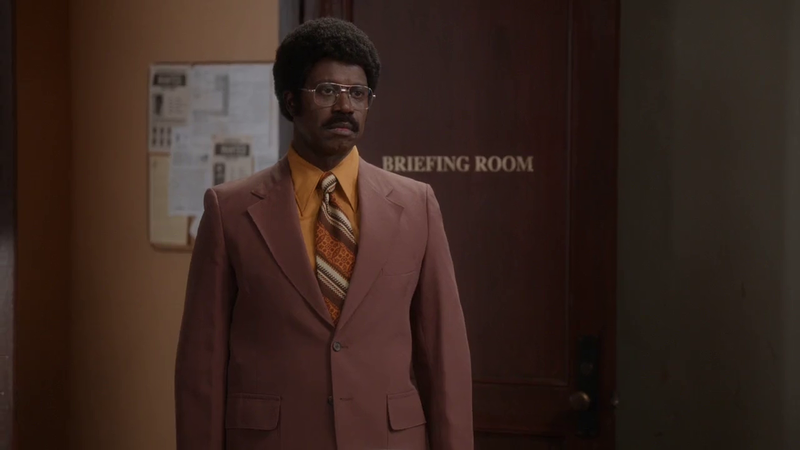 Jeff: It has to be the flashbacks to when Holt was a “young, brash detective.” It doesn’t matter if he’s being asked if he’s there to turn himself in at the 1970s precinct, or bringing in perps like “The Disco Strangler” in the 1980s, the wig and mustache just get me every time. Runner up is Hitchcock removing his shirt. He’s no Dennis Reynolds, but still. 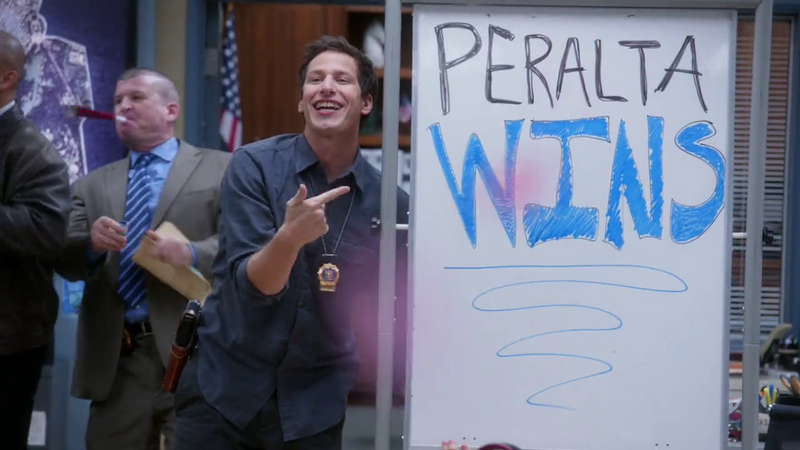 Patches: Either Peralta’s fictional names and backgrounds for all of his undercover operations or the show’s off-camera portrayal of Holt as suave and hilarious. Don’t make me choose! Patches: The flashbacks need work. Sorry, I watched Scrubs. You’re going to have to do better than that. Also, the slow-motion flashbacks NEVER work. I don’t even know what they are trying to do with those. Jeff: Does Boyle pining for Rosa count, because I’m with you on that being creepier than it is funny. If not, I guess I’ll try Rosa’s past being mysterious, which features jokes (like “beating up ballerinas”) that don’t quite live up to the gag’s potential. Also, the episode-long gag of Jake trying to steal Holt’s plaque from his safe in “Halloween” didn’t land for me. It’s only saved by the fact that Holt keeps a sandwich in his desk safe. This entry was posted in Television and tagged "48 Hours", "Charges and Specs", "M.E. 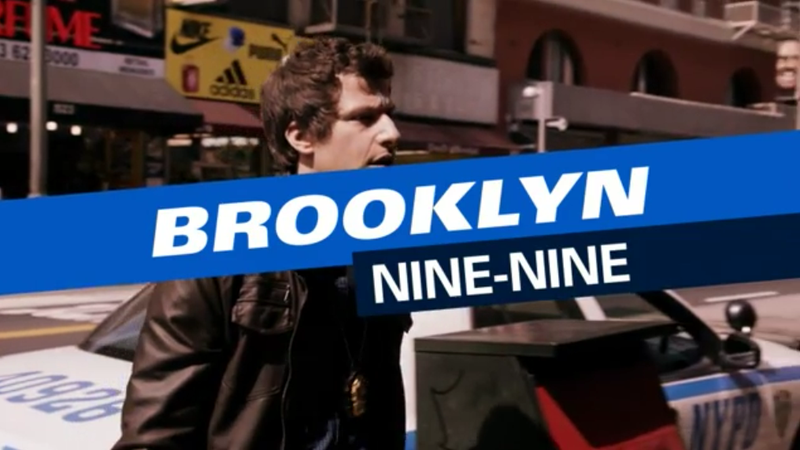 Time", "The Bet", Andre Braugher, Andy Samberg, Brooklyn Nine-Nine, Dead Season Discussion, Dean Winters, DSD, Patton Oswalt, Stacy Keach, Superlatives, Terry Crews, The Vulture by Rites of Patches. Bookmark the permalink. 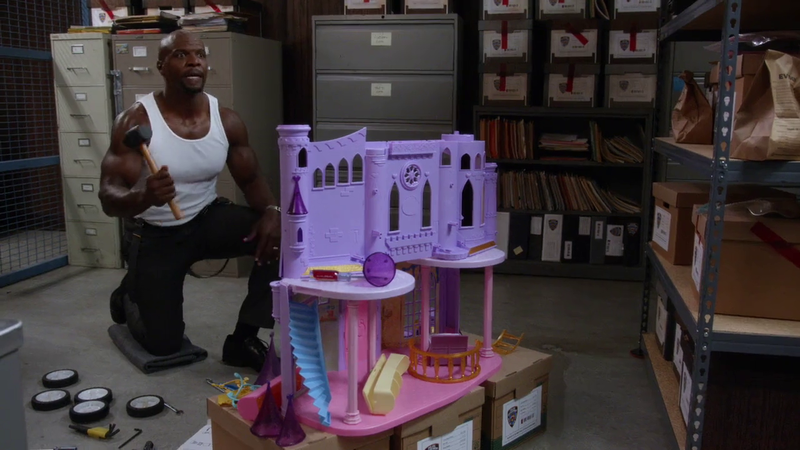 Terry Crews is excellent in pretty much anything he’s in. Regardless of what you think of the rest of the movie, he was awesome in White Chicks. There wasn’t nearly enough of him in Adam Sandler version of The Longest Yard. Just bask in his ambiance. Hahaha. I think I would die before watching any more of that movie, but I think I could stand to watch Terry Crews in that movie, if that difference makes any sense.